Most rare images from history - Those which express the most powerful events that have ever happened in the world. You absolutely cannot miss them. These are the jewels from the past. 1. Elvis Presley during his service in the U.S. Army. 2. 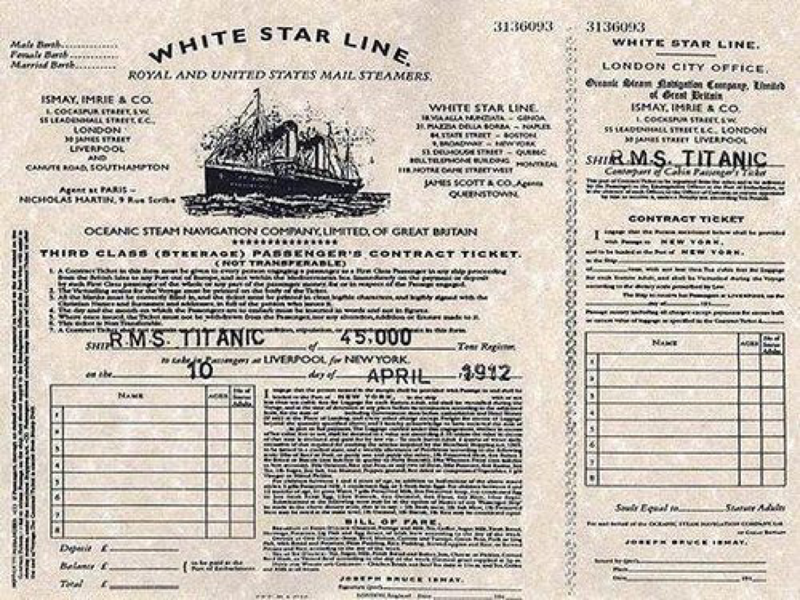 The real boarding pass for RMS Titanic. 3.During the Apollo 16 mission, Charles Duke left a family photo on the moon that was enclosed in a plastic bag. 4.Construction of the Eiffel tower in July, 1888. 5.Famous album cover art for The Beatles album Abbey Road, correct? Not exactly, this is them walking back in the opposite direction. 6.The unbroken seal on King Tut's Tomb. 7.The First Google Team in 1999. 8.One of the first photos that was taken inside of Hitler's bunker (Führerbunker) in 1945 by Allied soldiers. 9. A Boeing B-29 Superfortress bomber named “Enola Gay” was the bomber that dropped the “Little Boy” (nuclear bomb) over Hiroshima, Japan during World War 2. It was the first aircraft to drop an atomic bomb as a weapon of war. 10. The moment George W. Bush was notified of the September 11 terrorist attacks. 11. Arnold Schwarzenegger on the day he recieved his American citizenship. 12. Albert Einstein's matriculation certificate that he received at the age of 17, showing his final grades from the Aargau Kantonsschule (on a scale of 1-6). 13. A different angle of the popular stand off between a man (top left in photo) and a column of Chinese Type 59 tanks (top right in photo) on Tiananmen Square. 14. Che Guevara and Fidel Castro sharing a laugh. 15. Disneyland employee cafeteria 1961. 16. George S. Patton's Dog, Willie, mourning his best friend on the day of his death. 17. Howard Carter, an English archaeologist, examining the opened sarcophagus of King Tut. 18. 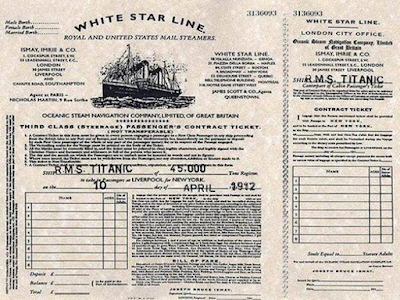 The following photo is believed to be the last photo ever taken of the RMS Titanic before it sunk in April 1912. 19. Martin Luther King Jr. removing a burned cross from his front yard. His son is at his side. Atlanta, GA, 1960. 20. This photo was taken in space right after World War II (1946). A team of soldiers and scientists used a German-made V-2 missile equipped with a camera to capture this shot. Making it the first photo in space. 21. Microsoft staff. December 7, 1978. 22. Einstein's office at the Institute for Advanced Study in Princeton, New Jersey, photographed on the day of his death, April 18, 1955. 23. The Beatles meet Muhammed Ali. 24. Construction of Brasilia city, which would later become the capital of Brazil. 1960. 25. The original Ronald clown of McDonald's. 1963. 26. Times Square, New York, 1911. 27. A man on the corner is reading a newspaper which headline reads “Nazi Army Now 75 Miles Away from Paris”. New York, May 18, 1940. 29. The Infamous Assassination of Mahatma Gandhi - This photo was taken just before he was shot by the man, Nathuram Godse, touching his feet. January 30, 1948, India. 30. John Young and Charles Duke training for the Apollo 16 mission in the New Mexico desert.